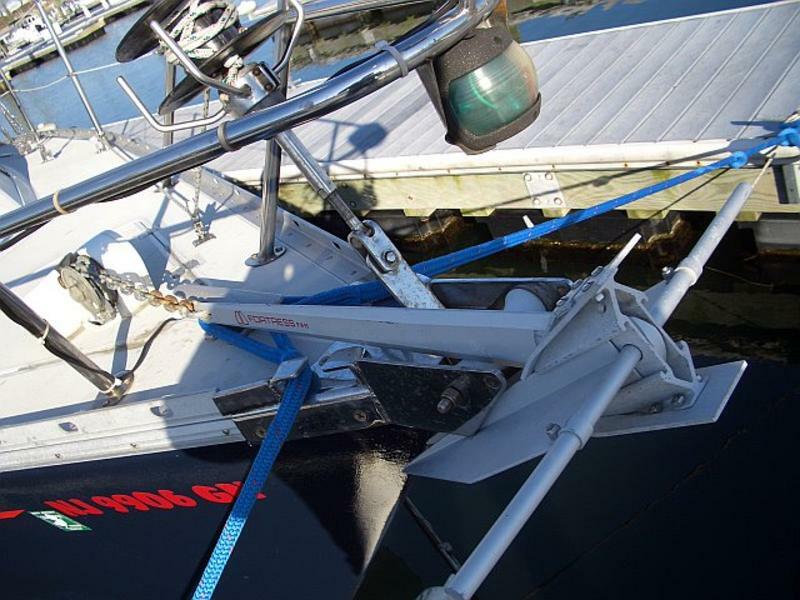 Boat comes with a hard dinghy, and custom davit setup to lift and drop the boat in the water. 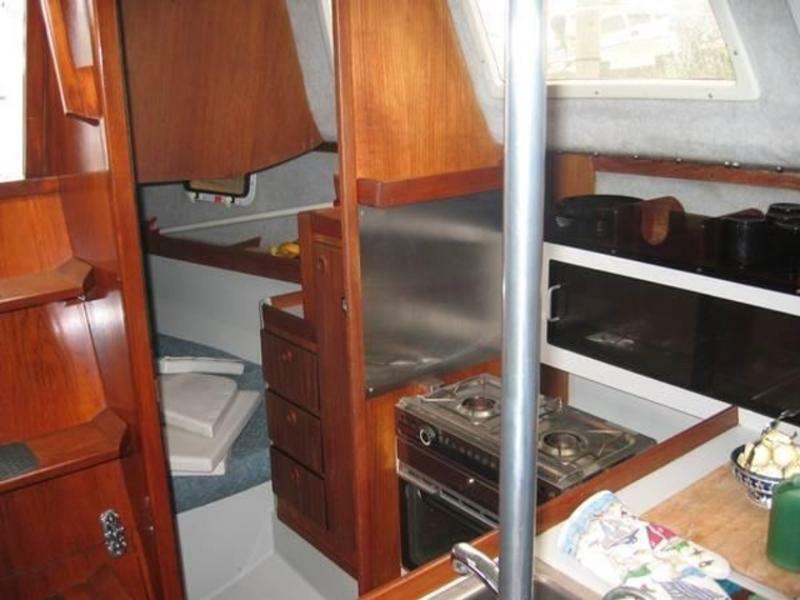 This is a must see 1989 O’Day Sailboat. 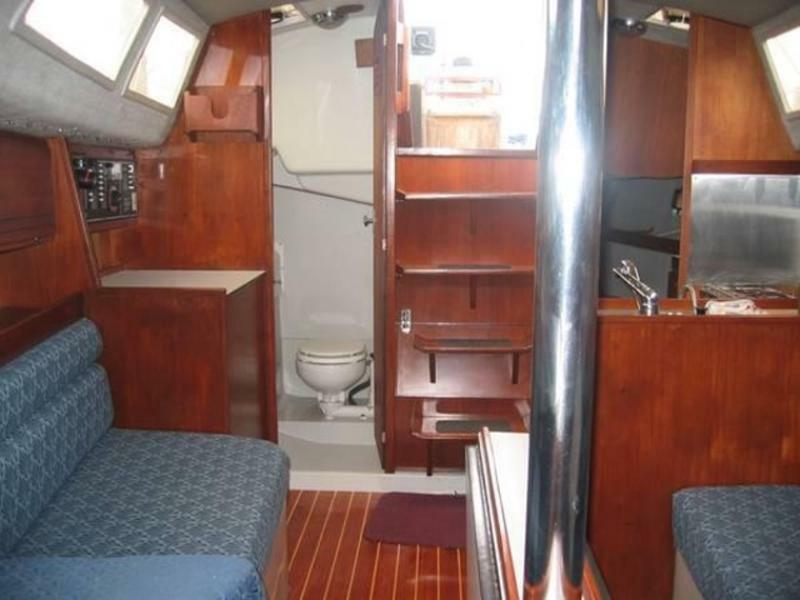 Docked in private slip at Gateway Marina in Brooklyn NY. 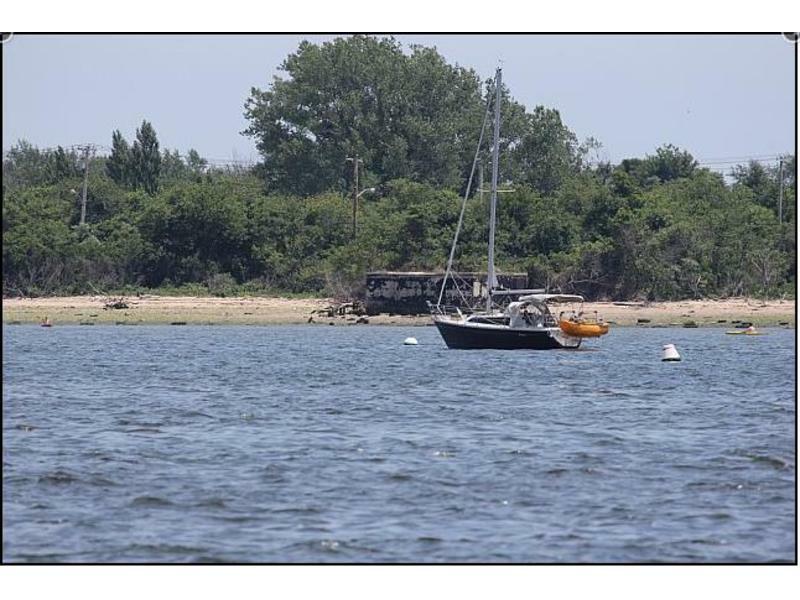 This boat is in the water and ready to be sailed today. 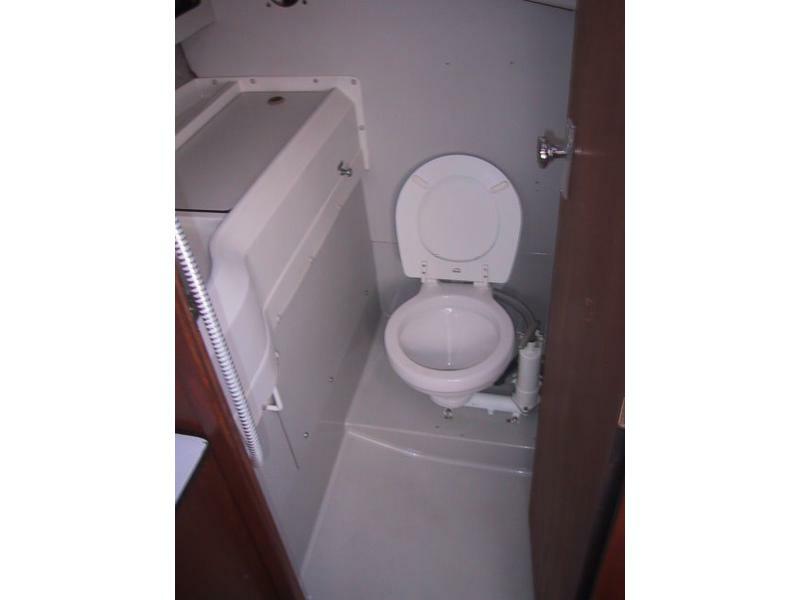 This is a very clean and well maintained boat. 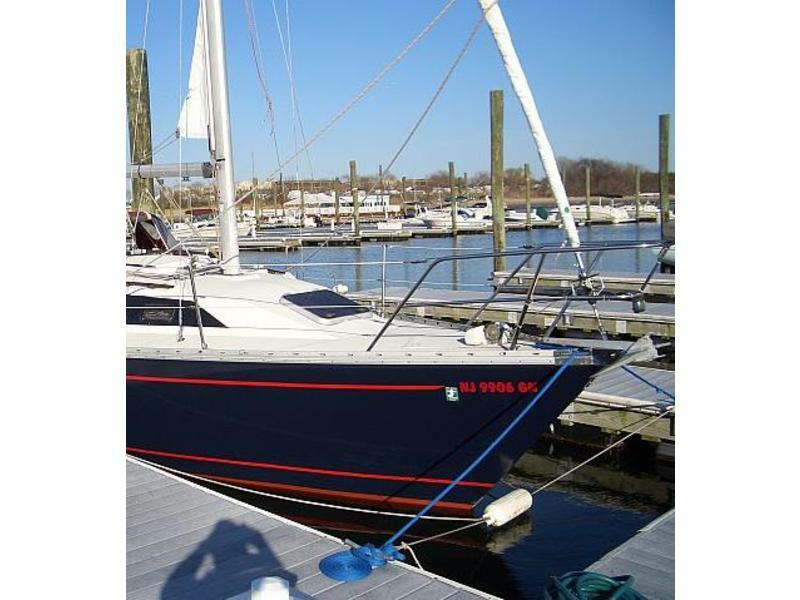 Recent upgrades include new roller furling sails, Yanmar 2GM20F fresh water cooled diesel engine, (new valves, new head gasket, new valve seals, new tuneup),AutoPilot, Color GPS new stainless prop shaft, new bronze propeller, new toilet, electric anchor windlass, search light, Color GPS, DVD player. 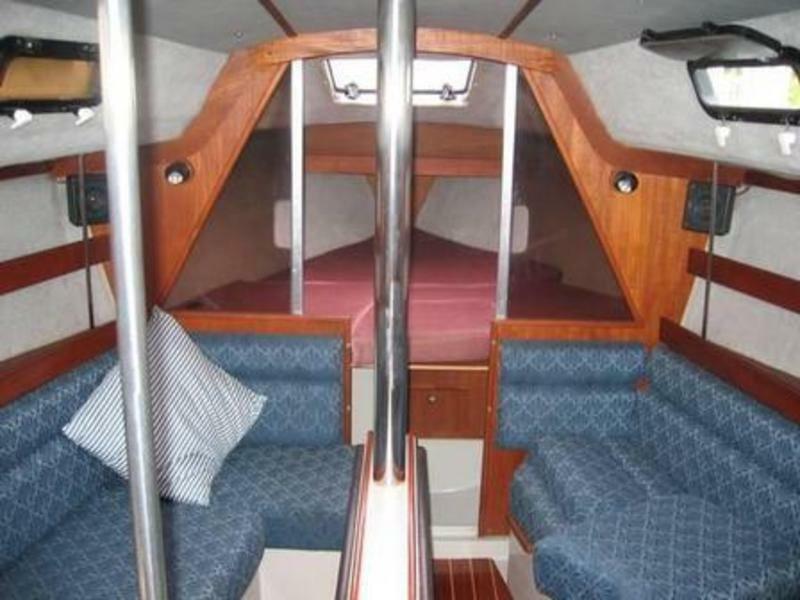 This is a very stable, safe, and fast yacht with just the right beam to draft. 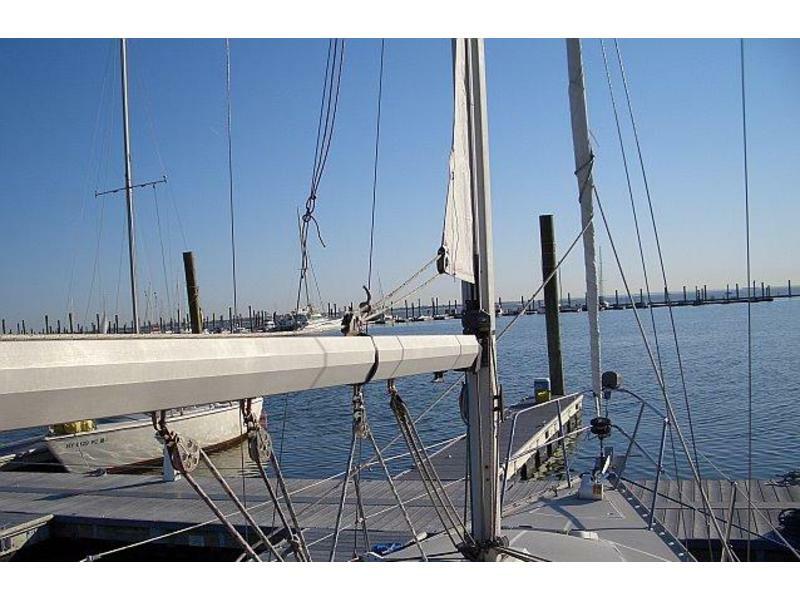 The all lead keel draws 3.5ft. 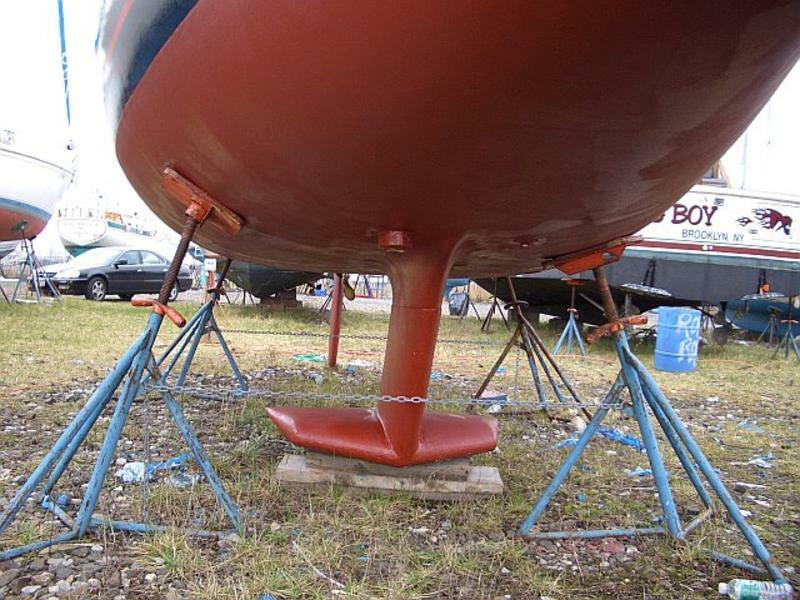 The most unique feature on this boat, is it’s ease of operation and safety. 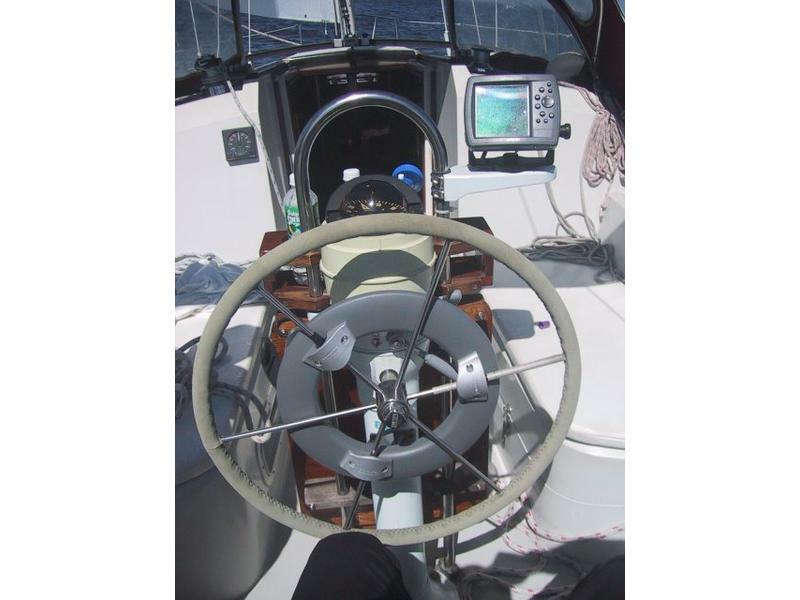 It can be easily single handed because you never have to leave the cockpit to raise/drop or reef the sails. 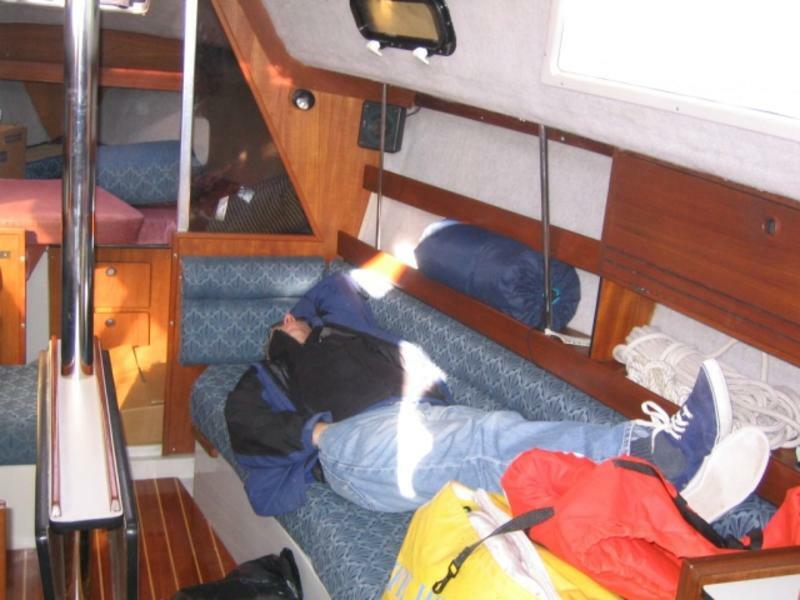 That is because both sails (Main Sail and Jib Sail) are roller furling that were factory installed, and all control lines lead aft into the cockpit. You can partially close both sails or close either one of the sails in 10 seconds without leaving the cockpit. 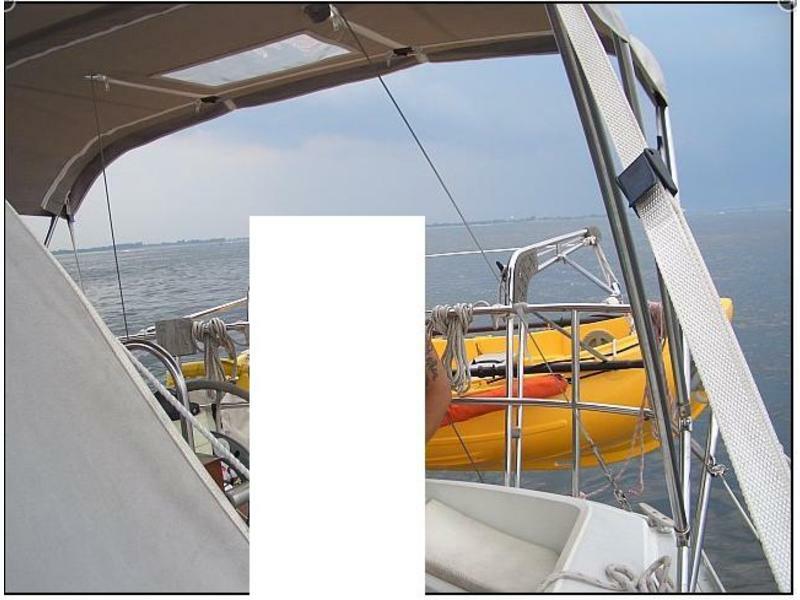 This is a very important safety feature that has now become a standard on many new boats. Electric Macerator to pumpout the head holding tank. 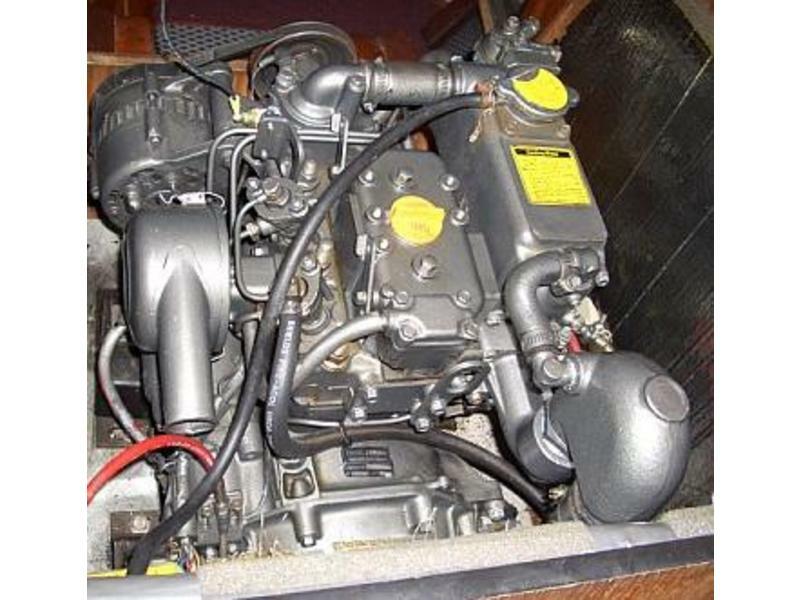 Yanmar 2GM20F fresh water cooled. Completey rebuilt, with wires and cables. Panel includes all back-lit instruments, tachmeter 4000rpm, engine key, and engine start key. 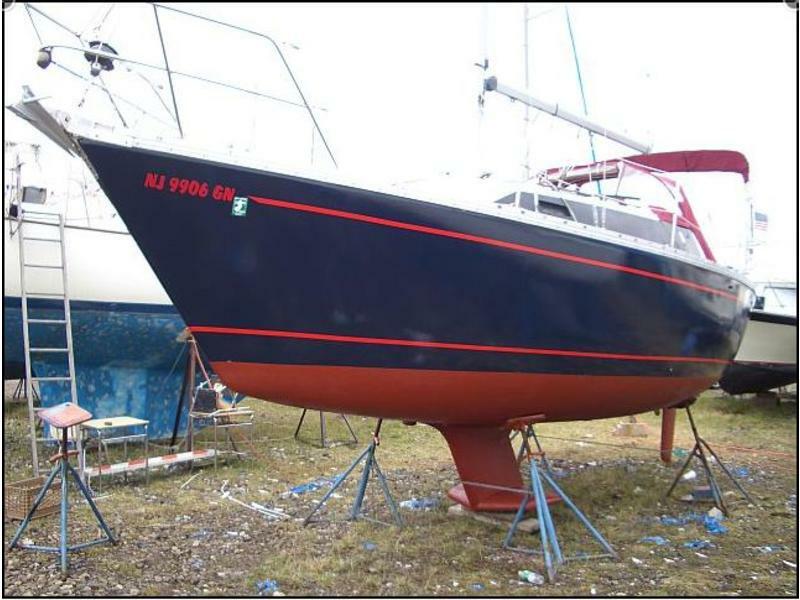 Very clean and professionaly maintained yacht.